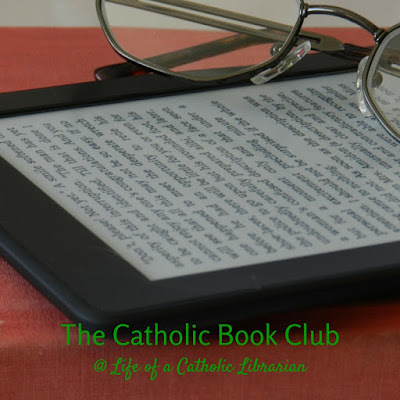 Life of a Catholic Librarian: Official book club update! I'm quite proud of it. I know many of you still love print books, and I do too, don't get me wrong! My gigantic bookcase at home housing my favorites is certainly a testament to that. But these days, with my eye sight (which has never been all that great due to a congenital condition that I was born with) only getting more challenging as the years go on, I positively ADORE reading on my Kindle. The font is so easy for me to see, and I can enlarge it as much as I need so easily. It's a Godsend, truly. And so for our book club, what you see to the left is how I will be reading 95% of the books we cover together. So you can picture me with my glasses on, reading along with you on my Kindle. *heart* The Kindle actually allows me to ditch the glasses most of the time, which is even more glorious (vanity, all vanity!). Right now though, I'm reading a book that was sent to me as a pdf, and you cannot enlarge the font on those, the humanity!!! So glasses it is, and I just got off on a tangent, didn't I? I did, let's get this train back on the tracks! OK! So, I got some feedback on the book club when we spoke during Tea Time last week, and I think I have a plan for how we're going to tackle this from here on out. The consensus is that people would love to participate in selecting the books. I picked Divine Mercy for Moms this month for the sake of simplicity, and as a transition, since I have to read it anyway. But after that, I will set up a poll to pick the next book. I looked into this on Blogger, and setting up a poll looks easy peasy (famous last words of the non-obscenity variety ;-)), so we'll get that going later this month. Exciting, right?! As for reading a whole book at a time, versus spreading it out amongst several months and looking at segments of chapters at a time, I did get some interest in the latter. Others expressed that they would be happy with either method. To my mind, breaking the book into segments works really well for spiritual reading and non-fiction generally. Those titles are usually "heavier" reading and take longer to get through. So I think that this will be our approach from here on out for non-fiction. If we select a fiction title, I'm more inclined to read it all in one go, and those are usually paced quicker anyway. We would have plenty of lead time beforehand for you to read the book before the review/discussion post. Sound like a plan? The last thing we have to decide on is the types of books we want to pick from each time. 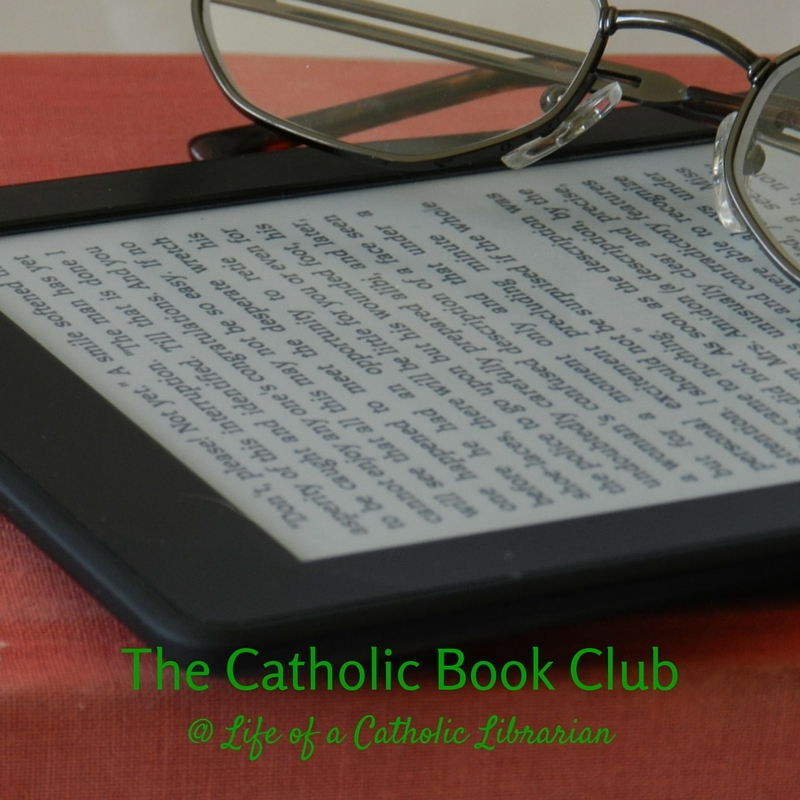 I'll always include a Catholic non-fiction title as an option, as well as a fiction title (either Catholic or secular). What about a third and fourth option, what do you all like to read? A secular non-fiction title, such as a memoir? A specific type of fiction, like thrillers or YA? What are your thoughts on this? I'd like to have 4ish books for you all to choose from each time. Right. We're onto something, I do declare! I am very excited about this project, and I hope you are as well! Leave your comments below with your favorite genres, and I'll start hunting for books to list in our very first title poll!